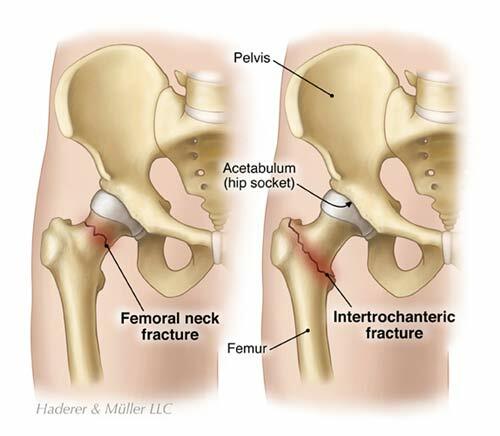 Hip Fracture surgery is highly individualized. 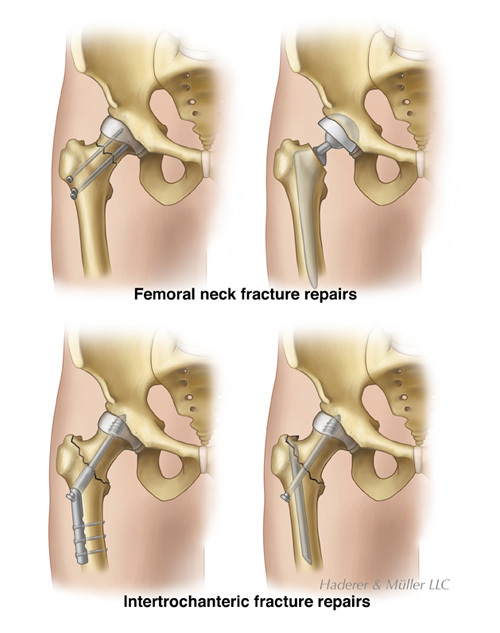 The type of surgery depends on the location of the fracture. Your surgery can take place as soon as you are medically stable. This is an inpatient surgery, requiring hospitalization. You will be admitted to the hospital for the surgery and can expect to spend a few days there while you recover. You will need to use a walker or crutches while standing and walking. Your doctor will let you know how much weight to put on your foot. Your doctor will use X-rays to see how your bones have healed. Following your surgery, your doctor will prescribe physical therapy to help regain range of motion and strength in your hip. Initially, you will need to build up your strength to roll and sit up in bed. At first, you will stand with the aid of a device, such as a walker. As you heal, you will be allowed to place more weight on your affected leg. Your physical therapist will assist you with walking. You may need to use a cane or walker until your balance and strength has improved. As you recover, your physical therapy program will include further exercises to increase your strength and endurance to help you walk as independently as possible. 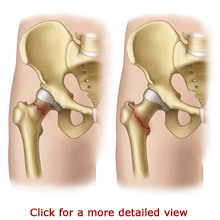 Your physical therapists will instruct you on Hip Precautions, body positions to protect the hip while it heals. 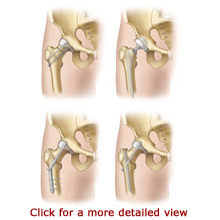 They may also recommend durable medical equipment for your home, such as a raised toilet seat or a shower chair. The equipment may make it easier for you to take care of yourself as you heal and help to prevent injury.